The state/public authority cannot drive poor convicts to the courts of law. “The state is expected to give people-friendly administration. The jail authorities cannot breach the rights of prisoners and refuse any remedy,” the commission said. The Central Information Commission (CIC) through Information Commissioner M. Sridhar Acharyulu in O.P. Gandhi v. Tihar Jail directed the state/public authorities to compensate a prisoner who lost out on his freedom due to extra detention, thus violating his fundamental right to a meaningful life guaranteed under the Constitution of India. The appellant was convicted under Section 138 of the Negotiable Instruments Act for dishonour of cheque for insufficiency of funds. He was sentenced to simple imprisonment for one year and fine. But after collecting information on remission and other aspects through 36 RTI applications, he contended that he was detained for an extra length of four days. The question for consideration was ‘other detriment’ of extra-detention, and compensation. The commission opined that since the order of remission to be granted to all the convicts who had maintained good conduct in the jail and had not been punished during preceding one year 15.08.2013 to 14.08.2014, and instead was issued on 11.08.2014, the appellant should have been released on that day itself. The authorities knew that the appellant has to be released on that day as per the remission order, yet he was detained till 15.08.2014. According to calculation of the appellant, he lost 14 days of freedom, and assuming that the order was given on 11.08.2014, as per the contention of the respondents, the appellant lost four days of freedom. Article 21 under the Constitution guarantees every Indian citizen right to personal life and liberty. An important question that came up was whether the state/public authority could be made liable for false imprisonment. Landmark case Rudul Shah v State of Bihar [AIR 1983 SC 1086] and another important case Bhim Singh, MLA vs State of J&K and Ors. [AIR 1986 SC 494] were relied upon wherein the Supreme Court held that the state has to compensate for extra detention. In State of A.P. v. Challa Ramkrishna Reddy and others, the apex court had denounced the archaic principle of state immunity by series of orders of the Supreme Court - state immunity was replaced by principle of vicarious liability. It was noted that the provision of compensation to crime victims is crying need of the honour. The International Covenant on the Civil and Political Rights, 1966 indicates that an enforceable right to compensation is conceptually integral to Human Rights. An observation made in leading case Nilabati Behara vs. state of Orissa and others (AIR 1993 SC 1960) was reproduced wherein a distinction was made between the remedy of compensation available under the public law i.e., Constitution and the private law, i.e. civil law of Tort. As per Article 21 of the constitution and various judgments, the victim is entitled to compensation for illegal detention. The commission observed that another major problem for the poor citizen like the appellant herein is their inability to afford litigation in the court of law. But various apex court judgments reflect upon the spirit of the Constitution according to which petitioners must be provided legal representation by a fairly competent lawyer at the cost of the state, since legal aid in a criminal case is a Fundamental Right implicit in Article 21. The jail authorities stated that there was neither the policy nor remedy, and the only course left was that the prisoner should approach the court of law and secure a direction to pay compensation. However, it was opined that an ordinary citizen like the appellant could neither go to the civil court with a plaint nor file a writ petition in the constitutional courts for compensation. The state/public authority cannot drive poor convicts to the courts of law. “The state is expected to give people-friendly administration. The jail authorities cannot breach the rights of prisoners and refuse any remedy,” the commission said. 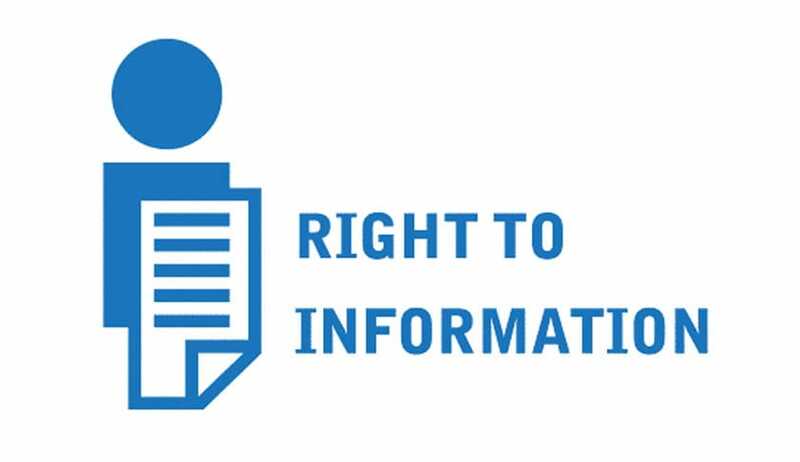 The rejection of RTI request on the ground that what he sought was not ‘information’ under RTI Act was held to be illegal and unreasonable. Hence there was merit found in complaint and contention that O.P. Gandhi was not given complete and proper information about remission and that he was also not given the due benefit of remission. The appellant suffered loss because of this denial and delay in furnishing information besides other detriment, i.e., the loss of freedom. The commission reiterated that the Section 19(8)(b) of RTI Act accommodates two kinds of compensations -- loss or any other detriment suffered. The commission held that the ‘other detriment’ the appellant suffered is loss of freedom for four days as per his count. Four-day detention beyond the date of order of remission, i.e., 11.08.2014, was clearly established thus, the Commission considered this case as a fit case for awarding compensation for the four days of extra-detention.